The maker of a popular talcum powder sold in Ireland has defended its safety after a US court ordered it to pay $4.7bn (€4bn) to a group of 22 women who alleged the product caused their ovarian cancer. The jury's verdict at a St Louis court in Missouri follows six weeks of testimony and means the company will be forced to pay out $550m (€471m) in compensation and an additional $4.14bn (€3.54bn) in punitive damages. The powder, which has been a household staple in Ireland for many years, is made by the consumer and pharmaceuticals giant Johnson & Johnson. The company said yesterday it "remains confident" that they do not cause ovarian cancer. It plans to appeal the latest verdict. "Johnson & Johnson is deeply disappointed in the verdict, which was the product of a fundamentally unfair process that allowed plaintiffs to present a group of 22 women, most of whom had no connection to Missouri, in a single case all alleging that they developed ovarian cancer," it said. The Health Products Regulatory Authority (HPRA), the medicines watchdog in Ireland, said European regulation of cosmetic products ensures they must be safe and cannot contain banned ingredients. Post- market surveillance on cosmetic products in Ireland is carried out to ensure compliance. 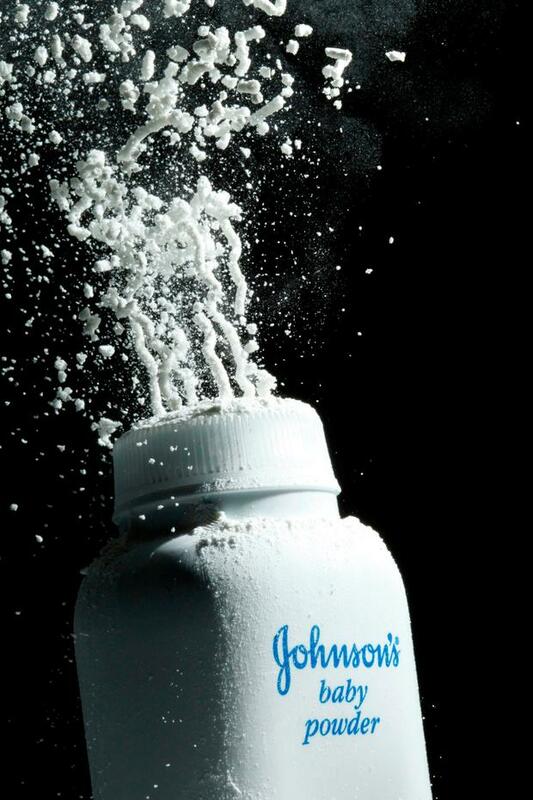 In the US, the women's legal team claimed Johnson & Johnson's Baby Powder and Shower to Shower products have been laced with cancer-causing asbestos "for decades". The women's lead lawyer, Mark Lanier, said: "For over 40 years, Johnson & Johnson has covered up the evidence of asbestos in their products. "We hope this verdict will get the attention of the J&J board and that it will lead them to better inform the medical community and the public about the connection between asbestos, talc and ovarian cancer. The HPRA advised care be taken applying cosmetic products to any area of the skin, including the genital area.